Series of objects and interventions that play on the double meaning of Privado in Spanish. 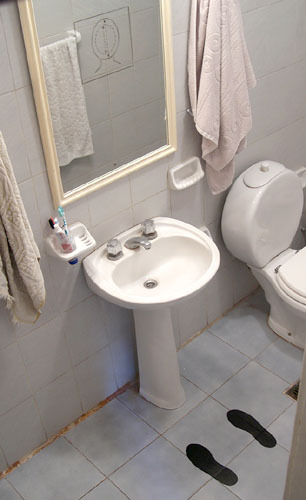 Initially an experiment carried out in my own bathroom, this piece is an intervention in each person's own self-iimage, which most commonly originates from the mirror in his or her own bathroom. 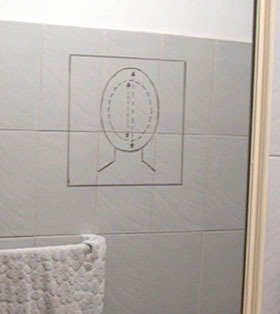 The graphic that indicates the required size of the head and the two footprints are plotter vinyl pieces to be applied in each person's own home, in accordance with their personal reflection. The drawing comes from the application form for a VISA to visit the US. 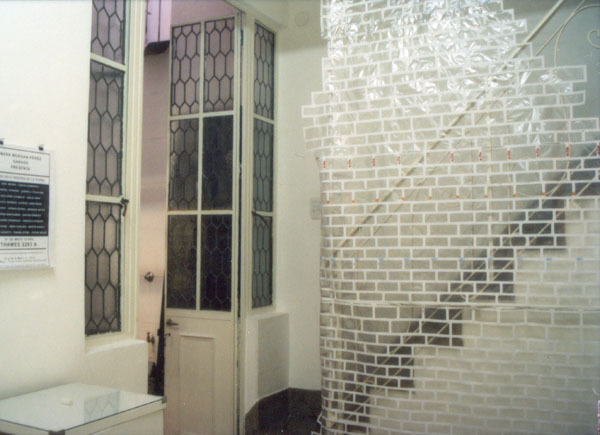 In order to transmit the spirit of the piece in the context of the show Extranjerías, it was decided that a replica of my own bathroom would be constructed, where visitors could enter and close the door behind them, thus offering a private experience of the piece. In the context of this show, the limit between the private living space on the first floor of the house and the exhibition space on the ground floor needed to be delineated. 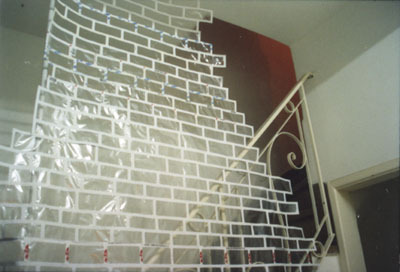 The intervention consisted of a wall made out of the small windows from the front side of envelopes (generally carrying utility bills or bank information) that purport to offer privacy only to simultaneously violate it by showing what is inside.